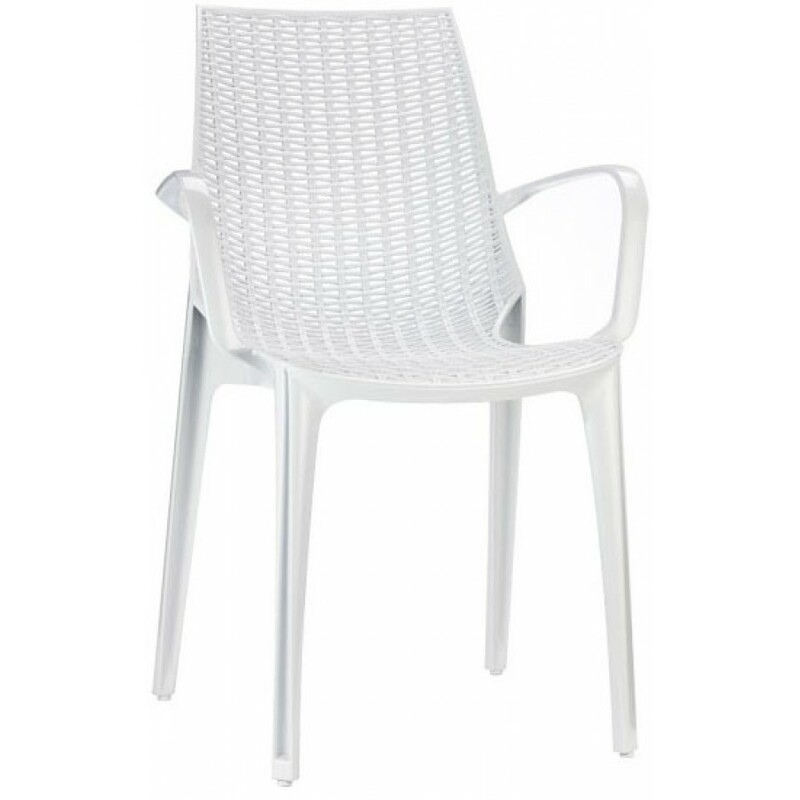 Chair in transparent or full-color polycarbonate with or without armrests, for indoor and outdoor use, stackable. The Tricot chair is a chair in transparent or full-color polycarbonate. 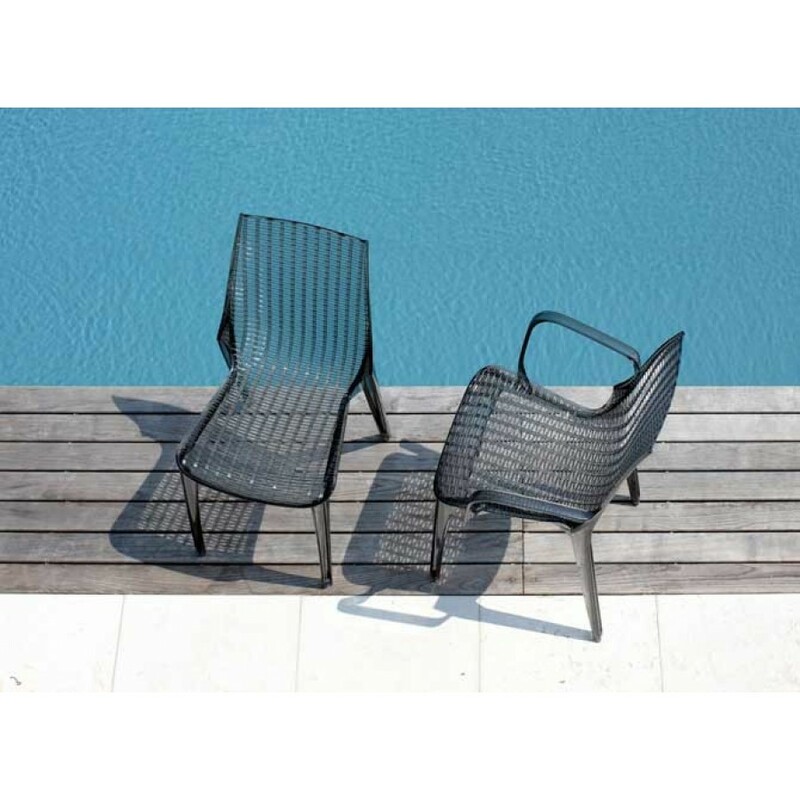 Polycarbonate is a durable and modern material, suitable for outdoor use. The peculiar interlaced structure gives a beautiful color effect. It can be with or without armrests. Colours: transparent, transparent smoked grey and full-color white. Stackable chair. With cream-colored moving upholstered pillow in cream-colored fabric.